Due to the size of our Inn, it is is not possible to book directly from our site but please give us a phone-call at 1-757-229-1775. $169 - $229 for one or two people. $25 additional for third person in the room. A minimum stay of more than one night may be required on certain dates. Check in time: 3:00 to 5:30 pm, unless otherwise arranged. Check out time: before 11:00 am. Cancellation Policy: full refund up to 14 days before date; after that time, only if the room is re-sold at this fine Williamsburg Bed and Breakfast. The Full Breakfast is all home-made, usually with authentic historic recipes, and includes beverages hot and cold, a fruit dish, and a hot main course, and is served in the dining room, usually between 8 and 9am. You may pass along any questions using the form below. 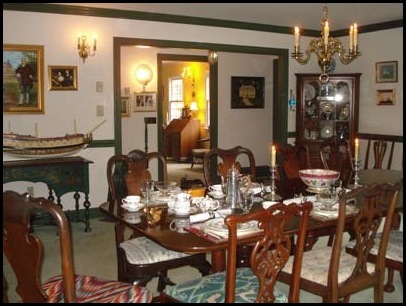 •	For a listing of other Williamsburg B&B's, please Click Here.